Anyone who has ever dreamed of running away to join "The Greatest Show On Earth" can relive those dreams at the Ringling Museum of the Circus in Sarasota, Florida — it's an experience for young and old alike. Sarasota has long had ties to the circus. John Ringling moved the winter quarters of Ringling Bros. and Barnum & Bailey Circus there from Bridgeport, Connecticut in 1927, making the area "home" to many great stars of circus fame. Displays at the Circus Museum include rare handbills and posters, photographs, sequined costumes, performing props, miniature circuses, and elaborately carved circus wagons. All that is missing is the popcorn. You are even invited to share your experiences of what you imagined your life would be like if you had run away to join the circus. Although it is easy to get caught up in the magic of the circus, John Ringling's true legacy to Sarasota was his vast love of art. He and his wife, Mable, built an art museum in 1925 that housed their collection of over 500 years of art — most of which was personally selected by John Ringling. 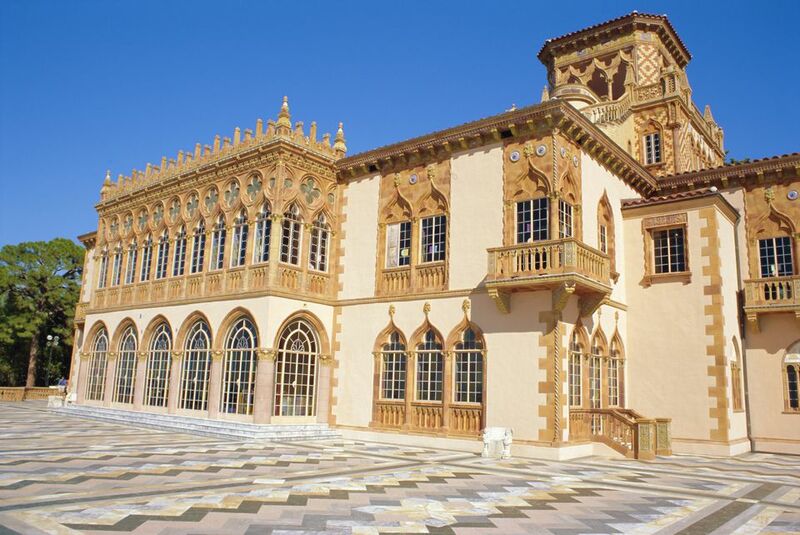 It was bequeathed to the people of Florida along with 66 acres of land that includes Cà d'Zan, the Ringling winter residence, upon his death in 1936. The Art Museum is internationally recognized for its collection of Baroque paintings. It is a style that had never garnered much of my attention in the past, but our tour guide made it more interesting by expertly pointing out the various styles of painting that were discovered in the 19th- and 20th-century. Take advantage of the hourly tours to fully appreciate the history and significance of the art exhibition. The tours are offered at no additional charge. The Museum's Courtyard is inhabited by statues of Greek and Roman gods and goddesses, which enhance the architecture and form a charming twentieth-century American version of a European formal garden. It is a place you will want to linger. Over 400 objects of art are exhibited in galleries around this courtyard including paintings, drawings, prints, decorative arts, and photography. Unfortunately, due to restricted space, not all objects can be on view to the public at one time and are rotated. So, if you are bored at the beach and tired of the theme parks, run away to Sarasota for a great experience. The Ringling Museum of Art is located at 5401 Bay Shore Road (off U.S. Hwy. 41) in Sarasota — about 60 miles south of Tampa/St. Petersburg. Wheelchairs are available in the lobbies of the Museums and are permitted in all areas. A small tram is available to shuttle between each museum. The museum shops were clean and amply stocked with a variety of unique gifts, clothing, jewelry, books, accessories, posters, and souvenirs including postcards. Prices range from inexpensive to moderately expensive and the personnel throughout the Museum are knowledgeable, helpful, and friendly.